Vitamix blenders are famous for being long-lasting smoothie-blending work-horses. They are the high-end benchmark that other blenders must compete with to win market-share. 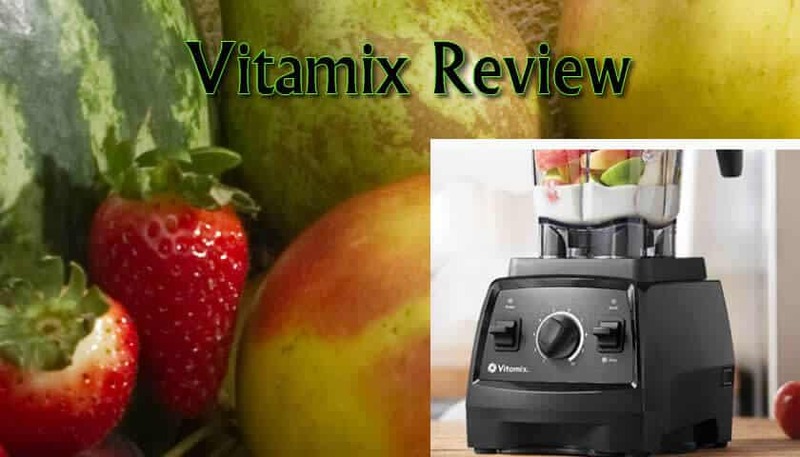 This is a review of my experience with the Vitamix 5200. I purchased my Vitamix about 6 months ago. I got it as a refurbished unit on Amazon.com. I went for a refurbished blender because the savings were huge and the warranty coverage was still very strong. 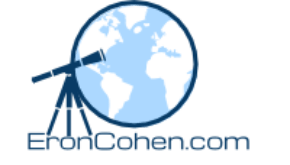 I am glad I did because I was able to afford more blender than I would have if I purchased it new from Amazon or Costco–the two places that seemed to have the best prices. You can get refurbished units in black, white or red on Amazon. I paid about $300 for the refurbished black version of the blender. You will find that red and white are somewhat more expensive than the black ones. I am not sure why. If you search on Amazon, you will be able to see and compare new units as well as other models. BTW, here you can view the current price of a new Vitamix 5200 on Amazon. I urge you to also consider the Vitamix 5300 refurb (black)–it has a wider, shorter jar and uses somewhat better technology than the 5200. In fact, if I was in the market for a Vitamix right now, I would most certainly pay the extra money for this model over the 5200. More on other Vitamix models later. The 5200 blender came in a less-fancy box than I would have gotten from purchasing it full-retail price, however I think this is where the discernible differences stopped. The box came with the blender base, a BPA-free blending jar, tamping rod, lid and a very nice color, spiral bound recipe book. The warranty is 5 years as opposed to 7 years on a new unit. I was willing to take the risk with the shorter warranty, especially because I have two friends who’ve had their blenders for years and have never had a problem. I have been through several blenders in the last fifteen years or so. For many years I had the difficult-to-clean, standard, wedding gift blender from Cuisinart. This blender struggled with frozen fruits and simply couldn’t handle other kinds of concoctions such as nut butters–but the worst thing about it was having to take it apart to clean it. This made it a bit of a pain to use and so it only saw action on special occasions. That unit was replaced by what I like to call “blender on a stick”–this type of blender was handheld, easy to clean but also rather limited. The one we have, the Cuisinart Smart Stick, cost about $40 so it wasn’t a huge investment, and all-in-all was a good until for what it could do. I have only recently started to explore professional level blenders. My wife and I started to realize that we wanted to do much more with our blender and decided it was worth it to purchase a high-end blending machine. Alas, we did not initially select the Vitamix. We purchased a BlendTec Classic blender first. There was alot to be said for that blender, but it kept breaking on us, so eventually we returned it and went with the Vitamix. (Read more about that experience here.) I also have some experience with the Omni V line of professional blenders. There is alot to love about the Vitamix blender. It is very capable and since it allows you to dial the appropriate speed for the job at hand, it gives you flexibility and control. The machine is very easy to clean. Simply add water and a drop or two of dishsoap and blend it clean. No need to take it apart and it only needs “extra” cleaning sometimes, for example if you used (or made!) peanut butter, it tends to stick to the sides. My biggest complaint about the blender is that it can be difficult to get the mixture from the very bottom of the blender beneath the blades. 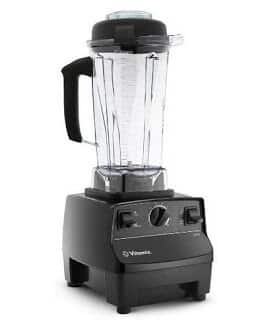 The Omnimix (about $300) and Blendtec blenders both come standard with a wider jar which makes it easier–the above mentioned Vitamix 5300 also has a wider jar and is superior to the other brands, in my opinion. In the case of the Blendtec, there are only two blades, as opposed to four or six, which makes it even easier to scrape out the contents of the bottom of the blender jar as needed. Note that there are other jars available for the Vitamix that appear to be easier to scrape clean, however as far as the default jar, this is an issue. Although the above-mentioned Vitamix 5300 does indeed have a wider jar, you cannot purchase that jar separately and use it on your Vitamix 6200 or other lower models. This is because the 5300 has a more powerful motor and is better able to spin the larger blade on the 5300. What Can You Make With A Vitamix Blender? We use our blender two or three times per day. We really couldn’t do without it. We use it to make smoothies, banana-based ice cream, sauces, hot soups, nut butters and more. At slow speeds it can double as a food processor. It is amazing how smooth it can make a mixture. Frozen fruits are no problem and neither are nuts, vegetables or whole fruits. You’d be amazed at how easy it is to make a hot, delicious tortilla soup with this machine. You can even use it to grind up chicken bones and meat to make a nice additive for food for your dog (look for recipes online to be sure you’re giving your pet the best, safest foods). I would definitely recommend the Vitamix blenders to anyone–singles or families. Having a blender like this lead to some definite shifts in lifestyle in my family–we are eating (and drinking) incrementally better than we were before we had it. It makes you want to blend, and the results are very enjoyable.